This company is all about fraud and deception. It has been two weeks as of today, and my vehicle is still pending arrival to my destination in Vermont. Upon, multiple inquiries with law enforcement authority, I was able to unearth that this auto shipping company did not pay the carrier who picked up my vehicle from Hayward, California. And therefore, my car is in the carrier’s possession at the moment. The owner of the carrier relayed to the police that this company is owing them thousands of financial dues for prior unpaid service. However, they charged my credit card the full amount of the service delivery and yet my car is pending arrival in Vermont. I have made so many calls and email contacts to the company representative namely, Matt, Janice Pop and seemingly their owner Casey Jackson. But, my attempts to reach them have been futile, and neither did any of them got in touch with me at this stage. Because, of this company’s misleading assertions on their service promise, I made a grave mistake on using their service to transport my car from California to Vermont. As a result of their deceptive service promise, I am suffering a high financial burden of using a rental car, and also dealing with unexpected stress of being deprived of using my car while actively making payments on it. Because of the unsettled financial conflict between this company and its carrier, I don’t see the reason why I should be victimized and my property being held hostage under their carrier’s possession. This is an apparent case of fraud and theft. Please exercise caution when using this company’s auto shipping service. It has been two weeks as of today, and my vehicle is still pending arrival to my destination in Vermont. Upon, multiple inquiries with law enforcement authority, I was able to unearth that this auto shipping company did not pay the carrier who picked up my vehicle from Hayward, California. And therefore, my car is in the carrier’s possession at the moment. The owner of the carrier relayed to the police that this company is owing them thousands of financial dues for prior unpaid service. However, they charged my credit card the full amount of the service delivery and yet my car is pending arrival in Vermont. I have made so many calls and email contacts to the company representative namely, Matt, Janice Pop and seemingly their owner Casey Jackson. But, my attempts to reach them have been futile, and neither did any of them got in touch with me at this stage. 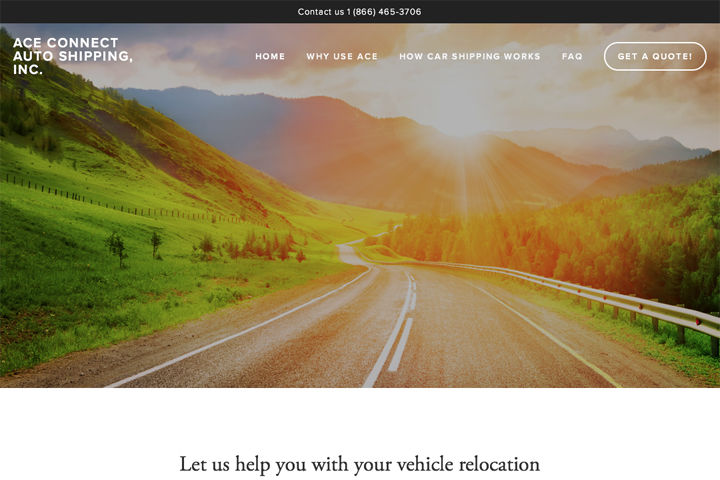 Because, of this company’s misleading assertions on their service promise, I made a grave mistake on using their service to transport my car from California to Vermont. As a result of their deceptive service promise, I am suffering a high financial burden of using a rental car, and also dealing with unexpected stress of being deprived of using my car while actively making payments on it. Because of the unsettled financial conflict between this company and its carrier, I don’t see the reason why I should be victimized and my property being held hostage under their carrier’s possession. This is an apparent case of fraud and theft.